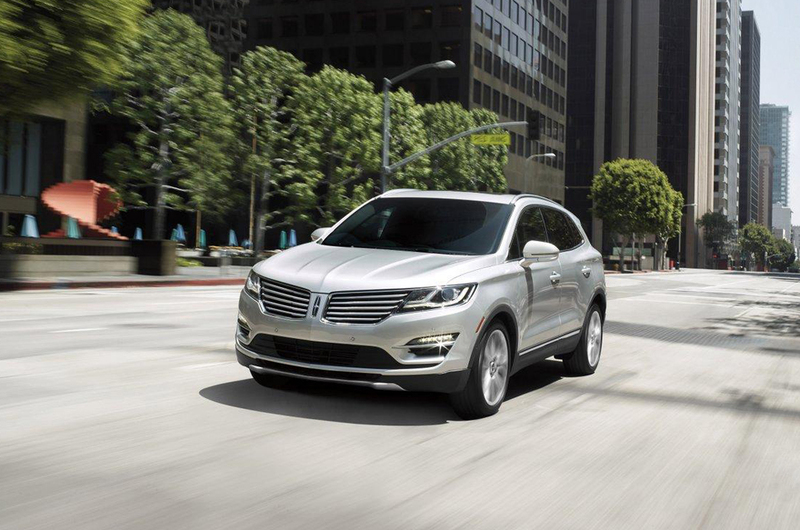 The 2016 Lincoln MKC is a compact luxury SUV that will be available in showrooms starting this fall. The MKC lineup was brand new for 2015, however the 2016 models do offer some nice new features. These include a very useful climate package with a windshield wiper de-icer. Towing capacity is increased to three thousand pounds on models that are equipped with the Trailer Tow package. The new MKC includes an optional Sync 3 driver connectivity system, along with a power lift gate on select models. Lincoln has added some new exterior colors, including Black Velvet, Luxe Metallic, and Burgundy Velvet Metallic Tinted Clear coat. The Luxury SUV will be available in three Trim Levels, such as Premiere, Select, and Reserve. The 2016 MKC standard features include a 2.0-liter turbo charged, direct gasoline injection, four-cylinder engine that produces a total of 240 horsepower. Front wheel drive, and eighteen-inch wheels also come standard. Upgraded options include a 2.3-liter, four cylinder engine producing a total of 285 horsepower. All Wheel Drive is also an additional option. The Lincoln MKC Luxury Sport Utility Vehicle’s main competitors include the Lexus NX 200t, BMW X3, and the Acura RDX. The 2016 Lincoln MKC pricing starts at $34,185.